To meet the diversified requirements of our prestigious clients, we are engaged in offering a qualitative range of Polypropylene Tanks for Electroplating. To meet the diversified requirements of our prestigious clients, we are engaged in offering a qualitative range of Polypropylene Tanks for Electroplating. Our offered tanks are designed in line with international quality standards using premium quality raw material. Our offered products are available in unique designs and sizes as per the variegated needs of clients. Tested on various parameters set by the industry, this range is widely demanded all across the globe. Clients can avail the offered product from us at market leading prices. 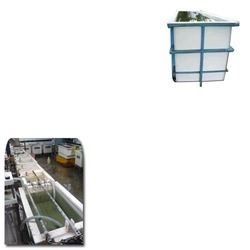 Looking for Polypropylene Tank for Electroplating ?